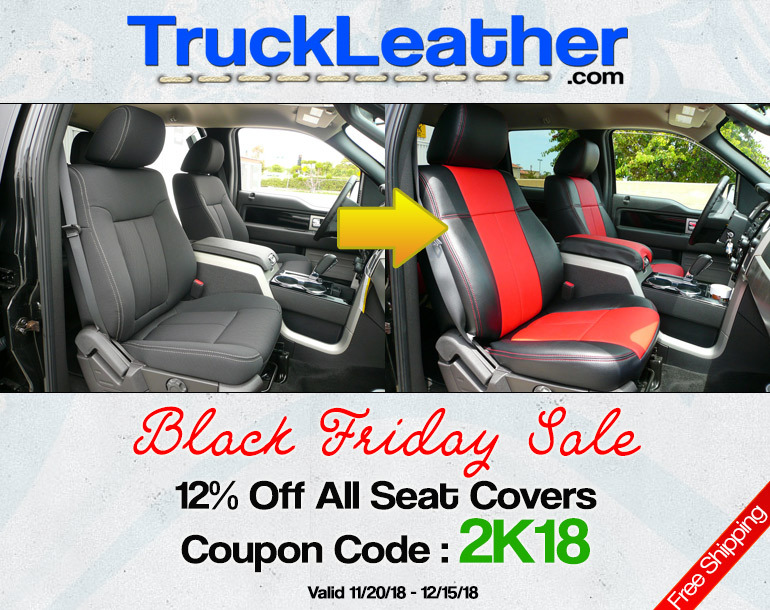 Use Coupon Code 2K18 at checkout to get 12% off & get Free Shipping on your ENTIRE order at Truck Leather.com. This applies to custom seat covers, in stock Clazzio seat covers, and seat heaters. Coupon is currently valid but expires on Dec. 15, 2018, so act quickly! This kind of discount happens only once a year!